In keeping with technological advances that favour the development of police practices, the Service de police de la Ville de Montréal (SPVM) has set up a pilot project to evaluate the operational and technical feasibility of equipping its patrol officers with portable cameras. Seventy-eight patrol officers wore the cameras for nearly a year in a real work context, from May 2016 to April 2017. As the first police force in Quebec to test portable cameras on our police officers and to use this technology, the SPVM tried to document the project as objectively as possible, taking into account more than 40 indicators so that it may also serve as a reference for other police forces in Quebec. The SPVM thus presented the results of the experiment and the major findings of the portable camera pilot project on February 1, 2019, at a public meeting of the Commission de la sécurité publique of the City ofMontréal. The portable cameras pilot project represents an important step in the methods used by the SPVM to ensure the quality of service to the population. In this regard, the Ministère dela Sécuritépublique (MSP) has identified the SPVM’s pilot project as a reference in the work of its Committee for the evaluation of the technical and legal aspects of equipping police officers with body cameras. This work should make it possible to better identify the technical and legal constraints ensuring the legal compliance of such initiatives, but also to propose the necessary legislative modifications, if necessary. Promote greater safety for police officers by equipping them with advanced technological equipment. The implementation of this project is rooted in the very widespread use of this technology in other police departments across Canada and the U.S. Citizens' recordings of various police interventions have inspired police departments to use the technology themselves so as to be able to view different angles of interventions. The recommendation of having police officers wear potable cameras was also made in June 2015 by coroner Paul G. Dionne, as part of his report following a citizen's death during a Montréal police intervention. In the fall of 2015, the Ministère de la Sécurité publique tabled its feasibility study of police officers' use of portable cameras. The SPVM, along with other police departments in the province, contributed to this document. Furthermore, it is important to specify that this pilot project is carried out in two phases. Phase 1 began in May 2016, with some thirty police officers wearing portable cameras. To kick off the pilot project, the SPVM opted to use cameras in public places. There were two units chosen for the first camera deployment: the Section métro and the Module de la circulation of the Division Sud. These two units primarily enforce public transit regulations, municipal by-laws, road safety laws and regulations and, occasionally, the Criminal Code. The second phase of the deployment of portable cameras started at the end of September. This time, police officers were be able to film interventions in private places. Neighbourhood police stations 8, 38 and 39 have been selected for this phase to target a wider variety of interventions, and therefore a broader application of laws and regulations. The variety of interventions in diverse populations (different types of crime, intervention places, population profiles, etc.). The SPVM also wanted to provide units in all four divisions with portable cameras. To find out the deployment dates in the neighbourhood police stations, check out the “Important Dates” section. The use of portable cameras in police interventions is highly complex and requires a carefully structured and thorough approach. It also involves a cost assessment and has an impact on relationships between citizens and police officers, as well as on operational procedures, thus requiring the implementation and monitoring of indicators. The opinion of citizens is important for this pilot project. As such, we will keep information on the ongoing project permanently available on our website. Police officers taking part in the pilot project will be trained on all technical aspects and legal support. Different scenarios will be used so as to make the staff comfortable using these devices in different situations. The training was developed and will be offered by the SPVM. The budget for the portable cameras pilot project is $1,700,000 for 2016. This includes compensation for the staff assigned to the project and the purchase of the cameras and software. The portable cameras are used to record any interview for investigation purposes and any emergency intervention—penal or criminal. Contact with someone the police officer suspects may be linked to a criminal or penal offence. 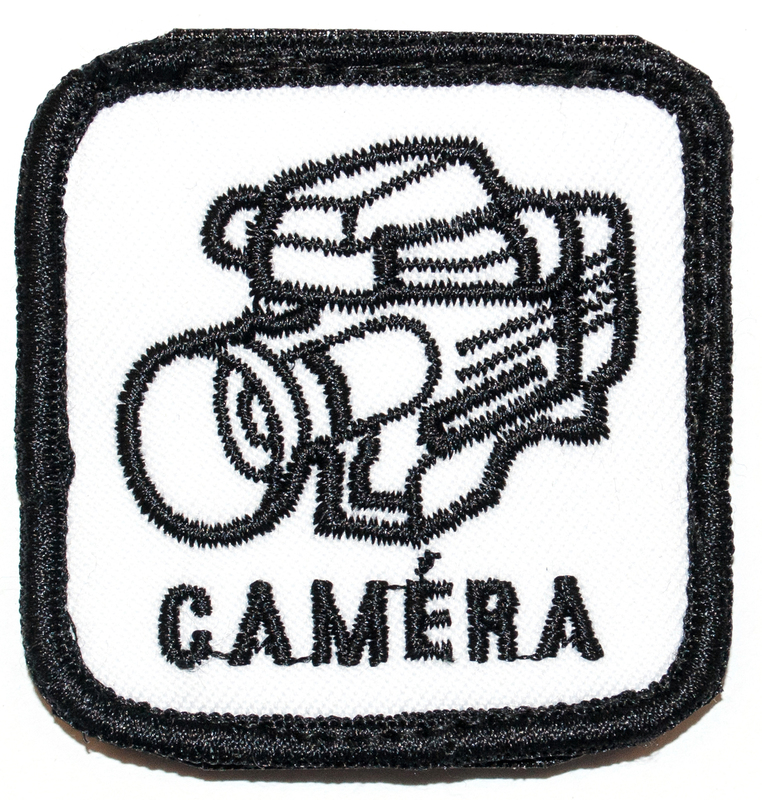 Police officers with a portable camera will have a special badge intended to visually notify citizens with whom they have contact of the camera's presence. They will don their usual uniforms, and the portable camera will be visible. Citizens will get verbal notification as soon as possible, whenever allowable in the context of the intervention. Police officers using a portable camera must consider victims' and witnesses' reactions when they are notified that they are being recorded. Should they note discomfort or refusal to provide criminal, penal or personal information, police officers may temporarily stop recording or deviate/deactivate the lens. They must assess the situation before turning off the camera. Before temporarily suspending the recording or deviating/deactivating the lens, police officers need to briefly state the reasons for their decision, on tape, whenever possible. They shall turn the device back on or reposition/reactivate the lens and record a short statement explaining the return to regular use as soon as possible. Police officers need to consider citizens' right to privacy in their interventions. The continued or discontinued camera activation shall depend on the circumstances in question. Police officers will have access to the images when drafting their report, but only under certain conditions. As such, police officers with a portable camera will not have access to the recordings shot from their device before drafting their general report or abridged offence reports. Should they wish to access the recordings, police officers will need to fill out a second report—a complementary report. After viewing the recording, a note stipulating that they have viewed the images shot from their camera after completing their general report shall be included in the complementary report. Recordings from police officers' portable cameras may be used as evidence in court. All recordings are kept for a minimum of three years and three months. Depending on the circumstances, they may be kept longer. Portable cameras will initially be used in public places (phase 1), followed by private places (phase 2). Should the images be broadcasted, it will be in a very specific and authorized context, such as a trial. Furthermore, it is difficult for someone in a public place to claim their right to privacy, other than with regard to his/her personal belongings (e.g. purse contents, telephone, laptop, etc.) or if in a public washroom. Requests for access to recordings shall be made with the person responsible for access to documents and the protection of personal information at the SPVM. Just like any other request for access to information, this request is subject to the Act respecting access to documents held by public bodies and the protection of personal information. The Act stipulates the rules for access. Recordings captured in the context of a criminal or penal complaint shall be sent to the Directeur des poursuites criminelles et pénales (DPCP), who will decide what may be divulged to the accused or offender. In November 2015, we prepared a project plan, making sure to comply with the buying rules of the Ville de Montréal. In January 2016, the Ville de Montréal's Service de l’approvisionnement published a request for information from specialized suppliers. Starting in February, we met with various suppliers and studied their proposals using a very specific analysis table. Initially, the pilot project was to allow for two technologies to be tested in the field: cloud computing hosting with Axon cameras, and hosting on local servers with Getac cameras. The SPVM was hoping to gain better insight into the benefits offered by each technology. In the end, only cloud computing hosting was tested as part of the pilot project, as the technological solution associated with the Getac cameras had not been developed in time for its deployment with police officers, as initially planned. Nevertheless, a great deal of elements included in the technological components for hosting on a local server were evaluated in a lab by the City of Montréal’s IT Department, as well as through simulations performed by the SPVM, among other things. The solution was not tested in operational conditions, however. The items that were evaluated were sufficient for recommendations to be issued, and the tests performed help in identifying the criteria for a future call for tenders for the deployment of cameras to all police officers. With respect to cloud computing technology, several indicators have been implemented to assess the solution and allow the SPVM and the IT Department to draw conclusions and make recommendations. The use of portable cameras by the SPVM is specifically limited to the intended purposes. They will not be used to get information on citizens, such as facial recognition, biometrics or licence plate recognition. Deployment of phase 1 of the pilot project (about thirty officers in the Section métro and Module de la circulation of the Division Sud of the SPVM). Deployment of phase2 in neighbourhood police stations 8, 38 and 39 (about 40 officers).